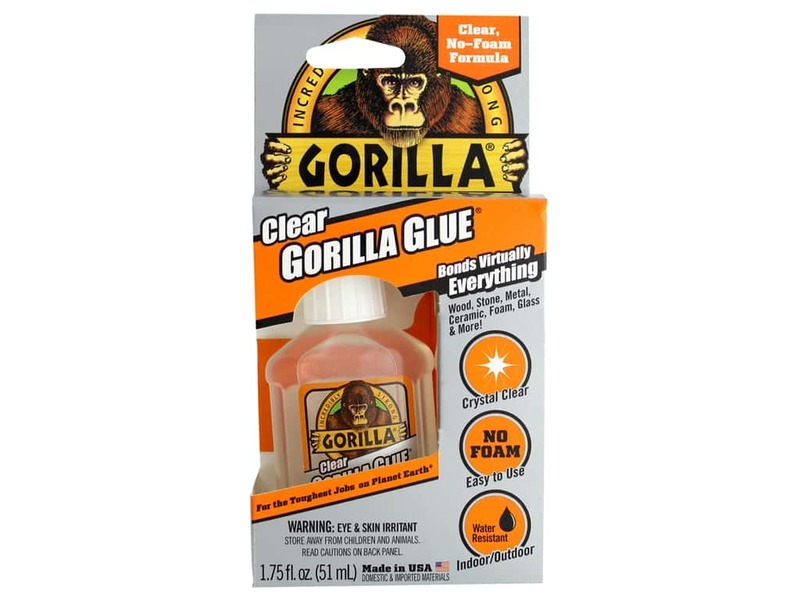 Description: Gorilla Glue Clear Gorilla Glue 1.75 oz - A versatile interior and exterior adhesive that is ideal for most household fixes and building projects. Works great on wood, stone, metal, ceramic and more. It is incredibly strong and is 100% waterproof. Crystal clear, non-foaming formula. It is incredibly strong and water resistant. Avoid contact, wear gloves. This glue will stain skin and ruin clothes. Keep out of the reach of children.